What could be more trendy than Ibiza in 80’s? An interesting but small exhibition at ICA gives a rare glimpse of gone-by-era of Ibiza in the early 80’s when it was a clubbing paradise but also a hippy haven. 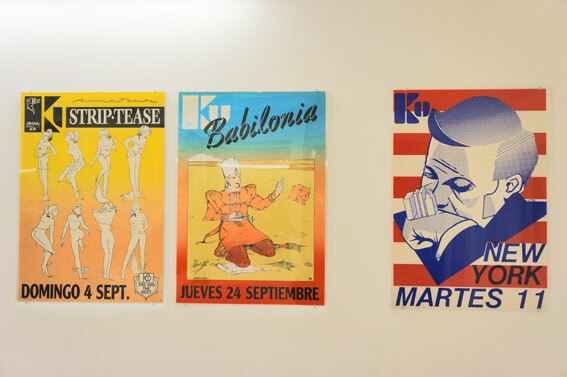 The exhibition is called Ibiza: Moments in Love and it is based on mainly graphic memorabilia, including posters, magazines, books and photos. The poster designs are mainly for Ku which was the world’s largest outdoor discotheque. They are made by Yves Uro, who was the freehand illustrator and graphic artist. The work has rarely been exhibited before. 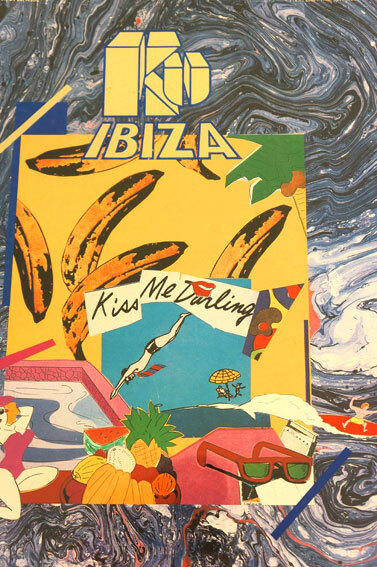 It gives an idea of how Ibiza was a ‘pleasure island’, outside normal rules and regulations and therefore able to spark such an enormous influence that it eventually created the modern dance music industry scene.